View the game day results here! The BEST (Boosting Engineering, Science, and Technology) program is a sports-like technology competition that hopes to inspire and motivate students towards studies and careers in engineering, science, and technology. Collin County (CoCo BEST) is one of several hubs throughout the state and nation. 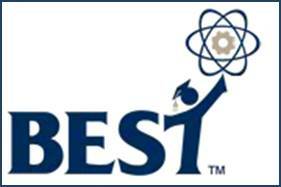 CoCo Best is the Collin County hub of the Texas Boosting Engineering Science and Technology (BEST) contest. The contest is for everyone, not just potential engineers or scientists. Graphical arts, music, fundraising, organizational skills, leadership, and teaming are just a few of the additional skills emphasized. About 24 teams will participate this year. Make sure your school gets involved!